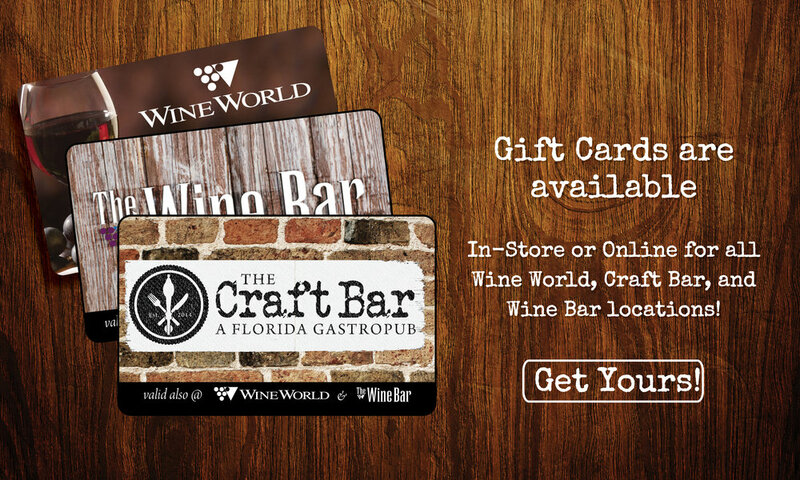 No matter where you get one of our gift cards (or which logo is on the front of it) you can still use it at every Wine World, The Wine Bar, or The Craft Bar locations. Pick one up for your sweetie (with a promise of a date-night real soon) and voila—Valentine’s Shopping complete! Looking for a more “personal” gift? You can find these bad boys at any of our locations--just ask your server!